Baby’s weight is closing in on 4 pounds, and he’s about 18 inches in length. In other words, he’s been working hard! Upstairs, baby’s brain is working it too, establishing the trillions of connections, or synapses, between neurons. Sound intense? I’m sure it is! Which is why baby’s starting to sleep more hours each day as well—not that you would know it from all the jabs and kicks you’re probably feeling. Now, you and I both know that every part of baby’s development is miraculous. But when you get into the details of brain development, the complexity and precision is mind-boggling. Some quick perspective: It would take you 30,000 years just to count to one trillion. I also have realized that most people don’t understand that you don’t give birth at 9 months/36 weeks. A due date is actually calculated at 10 months/40 weeks. So when I tell people 8 months, they assume this baby is coming in the next 4 weeks. But is he? Most likely and hopefully not. 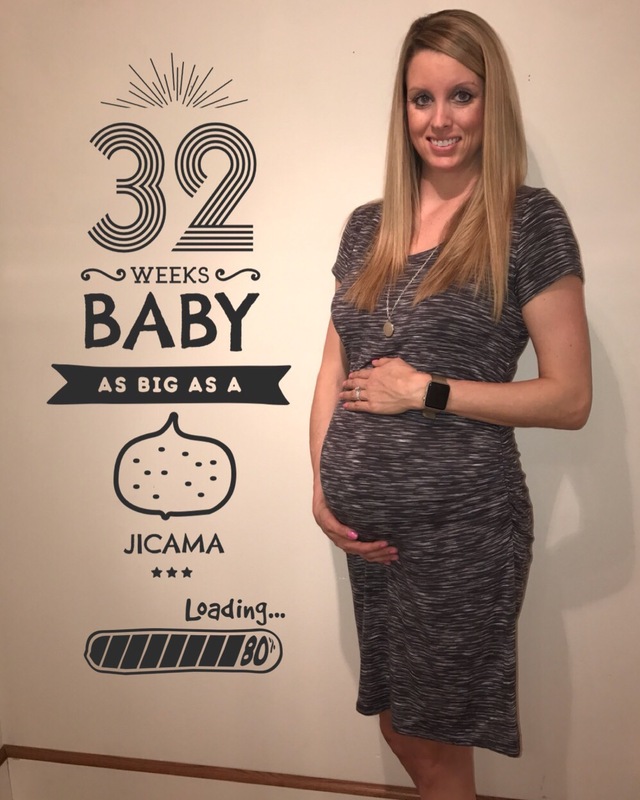 Anything before 36 weeks is considered premature. At 37 weeks, babies are no longer considered to be pre-term. 80% of women give birth at 37-42 weeks. So if that’s the case, this baby can show up anytime between September 8-October 13. I’m really hoping to not have to wait until October, but we have to be realistic over here. I, myself, came a week late for my mother. So while people think I look ready to go now, they have no idea how much bigger this momma is going to get! This boy can double in size before he shows up!